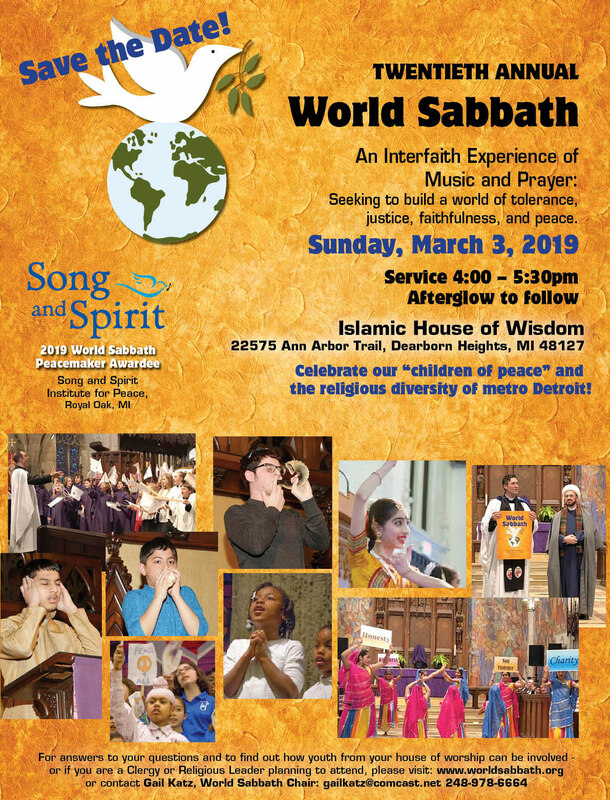 The World Sabbath interfaith service grew out of concerns raised by wars that had been raging around the world – in Serbia, Kosovo, Ireland and the Middle East. The Rev. Rod Reinhart decided to underscore the message that God was a God of peace, and in spite of all the differences and disagreements among religious groups, the central message of all faiths was that we are all called upon to build a world of tolerance and justice. So Rod created and proclaimed the World Sabbath of Religious Reconciliation – the interfaith holy day of Peace and Reconciliation among all religions, races, ethnic groups and nations. The Rev. Reinhart took this idea to Father Ed Mullins at Christ Church Cranbrook in Bloomfield Hills, and Father Ed felt called upon to make Christ Church Cranbrook the host and center of the World Sabbath Interfaith Holy Day, starting in the year 2000. The World Sabbath consists of offerings of prayer by presenters from many beliefs and of a Children of Peace procession. Browse this year’s program for more details.